Aug. 23, 2018 - Bill Fisch Forest Stewardship and Education Centre is the first project in Canada to be recognized by the International Living Future Institute (ILFI) as Living Building Challenge certified; the most rigorous sustainability standard in the world. 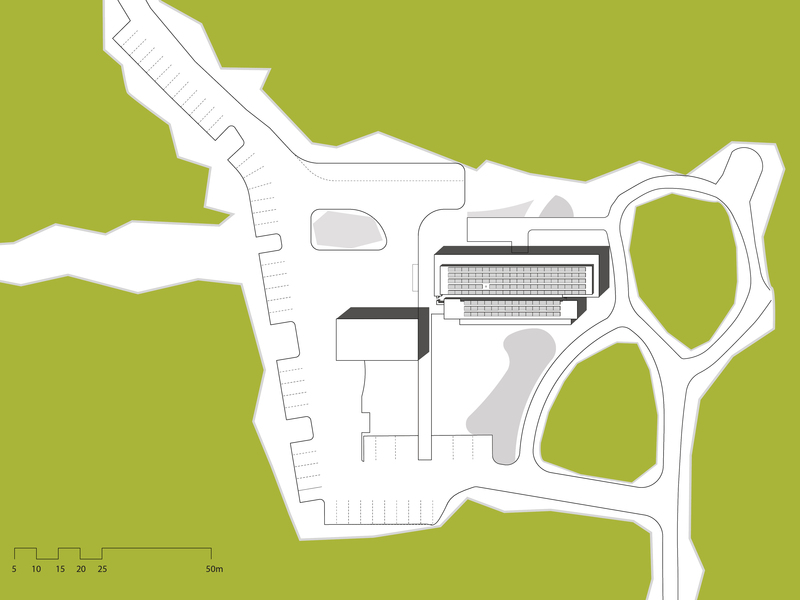 Designed by DIALOG for the Regional Municipality of York, the centre is LEED Platinum and ILFI Certified. The Living Building Challenge (LBC) is a building certification program, advocacy tool, and philosophy that defines the most advanced measure of sustainability in the built environment possible today. 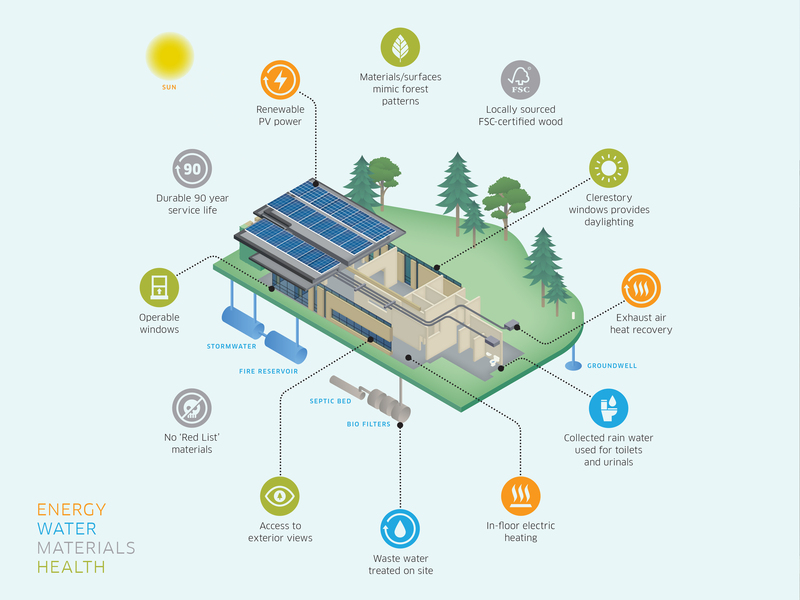 The world’s most rigorous standard for green buildings, a “Living Building” is free of toxic chemicals and runs on net-zero energy, generating the same amount of and sometimes more energy that it requires to operate. To help restore the natural habitat of the area and meet the certification’s stringent sustainability requirements, DIALOG brought together an interdisciplinary design team of architects, engineers, interior designers, forest education experts, arborists, and ecologists. The resulting 4,000 square foot single-story building has a projected 90-year lifespan, is made entirely of non-toxic and sustainably-sourced construction materials, and responds to its surrounding ecosystem by how it gathers energy from the sun to power the building and the way it purifies greywater generated in the building before returning it to the ecosystem. Photos//Tom Arban (left), Cindy Blazevic right). Designed to be easily disassembled and recycled after its projected 90-year life cycle, the exterior wood panelled façade was salvaged and repurposed Douglas fir from the demolished Cascades Factory on Commissioners Street in Toronto. The structure was built primarily of cross-laminated timber (CLT) and glued laminated timber (glulam) and Forest Stewardship Council (FSC)-certified to ensure materials were tracked and verified to come from ecologically sustainable sources. Sun-path orientation was the driving force behind the building’s positioning to prevent over-heating and provide shade in the summer months while naturally warming and illuminating the interior during winter months. Positive lifecycle value: Roof-mounted photovoltaic panels generate upwards of 35MWh of clean energy, more than the building uses annually. The additional investment in clean energy technology reduces annual operating costs and results in positive lifecycle value for the facility. A “Living Building” demonstrates excellence in seven performance areas over a twelve-month period of continuous occupancy. Areas include: Place (restoring a healthy interrelationship with nature); Water (creating developments that operate within the water balance of a given place and climate); Energy (relying only on current solar income); Health & Happiness (creating environments that optimize physical and psychological health and well-being); Materials (endorsing products that are safe for all species through time; Equity (supporting a just and equitable world); and, Beauty (celebrating design that uplifts the human spirit). Healthy and beautiful: Designed primarily of wood, the structure provides a space to explore the importance of natural resources, role of forest ecology our communities, and the different ways to work with wood. The integration of cross-laminated timber (CLT) significantly limits the use of chemical compounds while sequestering and storing carbon. 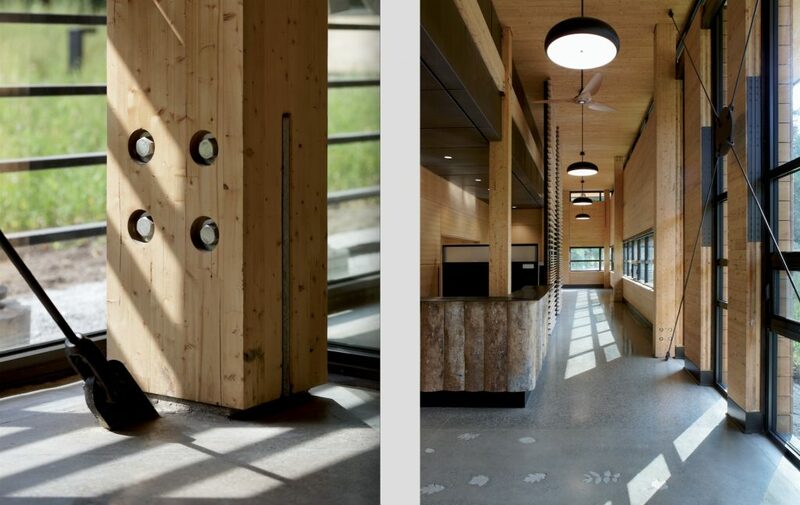 The Bill Fisch Forest Stewardship and Education Centre is Canada’s first “Living Building” and one of only 21 buildings worldwide with complete certification. DIALOG is overseeing net-zero energy and carbon neutral building initiatives across Canada and the U.S., including University of Calgary’s MacKimmie Complex and Professional Faculties Building Project and Public Services and Procurement Canada’s Arthur Meighen Building Rehabilitation. All projects incorporate design-thinking philosophies from the Community Wellbeing Framework and contribute to The AIA 2030 Commitment, a pledge made by the firm to have a carbon neutral portfolio by 2030. DIALOG is a fully integrated, multi-disciplinary design firm incorporating architectural, engineering, interior design, urban planning and design, sustainability, and landscape architecture. An award-winning firm, with over 600 people in studios in San Francisco, Vancouver, Calgary, Edmonton, and Toronto, DIALOG is committed to delivering sustainability and excellence through integrated design and is made up of passionate designers who believe design can and should meaningfully improve the wellbeing of our communities and the environment we all share. For more information: www.dialogdesign.ca.